It’s that special time of year for arts organizations: new season announcement season (yes, I know, it sounds like it came from the department of redundancy department, but bear with me). First out of the gate for Southern California ensembles was the Los Angeles Chamber Orchestra announcement this past weekend. Their 2017/18 season also happens to be their 50th Anniversary season. Bully for them. Outgoing Music Director Jeffrey Kahane, whose 20-year tenure will end in June of this year, will return in his new capacity as Conductor Laureate for two concerts in March 2018. No new Music Director announcement yet. As expected, the list of guest conductors is long, and includes the return of recent visitors (most notably Karina Canellakis, Thomas Dausgaard, Peter Oundjian) along with others. You can bet that some/most of the guest conductors are in the running to take over LACO’s podium full-time, so stay tuned. 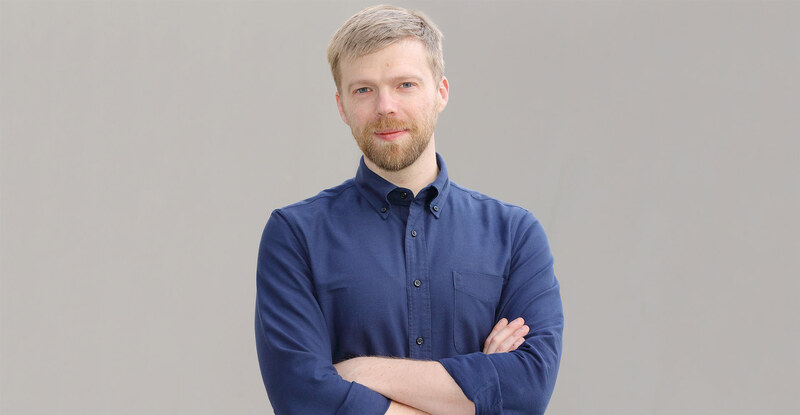 Andrew Norman, current Composer-in-Residence, extends his tenure in that capacity to the 2018/19 season while also gaining the distinction of being LACO’s First Creative Advisor. The much-loved “Baroque Conversations” series based in Downtown LA at The Colburn School’s Zipper Hall is still featuring Harpsichord Mahan Esfahani as LACO’s Baroque Artistic Partner through the 2018-19 season. The full press release, including complete details of the main orchestral series held at Glendale’s Alex Theatre and UCLA’s Royce Hall, is below. Innovative “Music +” Chamber Music and Discussion Series (formerly “Westside Connections”), Curated by Concertmaster Margaret Batjer, Explores Relationship between Dance and Music, and Expands from Santa Monica to New San Gabriel Valley Venue, Doubling Number of Performances in Series and Considerably Increasing LACO’s Reach. Los Angeles Chamber Orchestra (LACO), one of the nation’s premier orchestras as well as a leader in presenting wide-ranging repertoire and adventurous commissions, announces programming for its milestone 50th Anniversary season in 2017-18, which spotlights its virtuosic artists and builds upon the Orchestra’s five decades of intimate and transformative musical programs. Heralding the landmark occasion as an extended opportunity to broaden the Orchestra’s collaborations and inventive programming, LACO names Composer-in-Residence Andrew Norman its first Creative Advisor and extends his contract through the 2018-19 season. Returning to LACO’s stage are violinists Joshua Bell and Jennifer Koh, appointed LACO’s Guest Artist-in-Residence for the fall, and guest conductors Douglas Boyd, Karina Canellakis, Thomas Dausgaard and Peter Oundjian. Jeffrey Kahane, who steps down as Music Director in June 2017 after a 20-year tenure, makes his first appearance in his new role as LACO Conductor Laureate. The season features the world premiere of Norman’s Violin Concerto, written for and featuring Koh, among other highlights. Norman was named LACO’s Composer-in-Residence five years ago. Recently recognized with the prestigious 2017 Grawemeyer Award in Music Composition, he was also named Musical America 2016 Composer of the Year. LACO’s Orchestral Series includes eight programs, featuring four LACO-co-commissions, among them Norman’s world premiere, another world premiere by LACO Sound Investment composer Ellen Reid and the West Coast premiere of Pierre Jalbert’s Violin Concerto, with Concertmaster Margaret Batjer. A range of works from LACO’s signature repertoire includes Vivaldi’s Concerto Grosso in D Minor, the first work ever performed by LACO 50 years ago. LACO also presents Beethoven Symphony No. 2 in D Major, “Mozart in Focus,” featuring Mozart’s final three symphonies, and continues a multi-year exploration of Haydn’s 12 London Symphonies, considered a cornerstone of the chamber music repertoire. Underscoring the virtuosity of the Orchestra itself, a conductor-less program caps the season. The Orchestra presents a number of other eminent guest artists and conductors on its Orchestral Series, including LACO debuts of Spanish conductor Jaime Martín, pianist Menahem Pressler who last year at the age of 92 dazzled audiences with the Berlin Philharmonic, French pianist David Fray, English tenor Toby Spence and teenage cello virtuoso Sheku Kanneh-Mason, who has also been named LACO’s Guest Artist-in-Residence for the spring and is making his US orchestral debut. The residencies of Kanneh-Mason and Koh include masterclasses, community engagement opportunities and free public performances, along with their concert appearances, providing more accessible musical opportunities to the broader Los Angeles community. Additionally, LACO expands its relationship with Baroque Artistic Partner Mahan Esfahani, a harpsichordist who appears on the Baroque Conversations series and makes his debut on LACO’s Orchestral Series in a program featuring all six Brandenburg Concertos led by Batjer. Other guest artists making guest appearances on the Baroque Conversations series are conductors Harry Bicket and Ricardo Minasi. LACO also expands its “Music +” chamber music and discussion series (formerly “Westside Connections”) curated by Batjer at Santa Monica’s Moss Theatre. For the first time, concerts will be repeated at a brand new venue for the Orchestra in a San Gabriel Valley location to be announced. This season, the “Music +” series explores the relationship between music and dance. In addition to presenting its “Music +” series at the Moss Theatre and a new San Gabriel Valley venue to be announced, LACO performs across the Southland as Orchestra-in-Residence at Glendale’s Alex Theatre and Orchestra-in-Residence at Center for the Art of Performance at UCLA (CAP UCLA). Zipper Concert Hall at The Colburn School is the home of LACO’s Baroque Conversations series. LACO continues as a partner in the “LACO-USC Thornton Strings Mentorship Program,” in which selected Thornton students participate in a mock audition with the possibility of winning a guest musician slot in a strings section for a LACO concert. The program is designed to enhance preparedness of strings students for a professional career. LACO musicians also perform side-by-side with Inner City Youth Orchestra of Los Angeles (ICYOLA), deepening the Orchestra’s commitment with that training organization, which seeks to introduce inner-city youth to the life-affirming power of music. Los Angeles Chamber Orchestra, proclaimed “America’s finest chamber orchestra” by Public Radio International, has established itself among the world’s top musical ensembles. Over the past five decades, the Orchestra, noted as a preeminent interpreter of historical masterworks and a champion of contemporary composers, has made 31 recordings, toured Europe, South America, Japan and North America, earning adulation from audiences and critics alike, and garnered eight ASCAP Awards for Adventurous Programming. With the establishment of LACO in 1968 as an artistic outlet for the recording industry’s most gifted musicians, Los Angeles’ music and culture scene took a major step forward. Since then, the Orchestra’s five illustrious music directors – Sir Neville Marriner, Gerard Schwarz, Iona Brown, Christof Perick and Jeffrey Kahane – have set a standard of musical excellence for the orchestra that continues today. LACO’s artistic founder, cellist James Arkatov, envisioned an ensemble that would allow the Orchestra’s conservatory-trained players to balance studio work and teaching with pure artistic collaboration at the highest level. Financial backing for the Orchestra came from philanthropist Richard Colburn and managerial expertise from attorney Joseph Troy, who also became LACO’s first president. LACO’s core “Orchestral Series” features eight programs, each with back-to-back performances at the Alex Theatre in Glendale and UCLA’s Royce Hall. The series showcases LACO’s remarkable artistry and trademark mix of orchestral masterpieces and new works from today’s leading composers, as well as the much-admired collaborative style between LACO artists. Passionate, joyous and engaging, the series features a range of exceptional guest artists and conductors. Nurturing future musicians and composers as well as inspiring a love of classical music are integral to LACO’s mission. Through its “Meet the Music,” “Community Partners,” “LACO-USC Thornton Strings Mentorship Program” and master classes and school visits with LACO Composer-in-Residence Andrew Norman and guest artists-in-residence Jennifer Koh, Mahan Esfahani and Sheku Kanneh-Mason, the Orchestra reaches thousands of young people annually. LACO musicians also perform side-by-side with Inner City Youth Orchestra of Los Angeles (ICYOLA), deepening the Orchestra’s commitment with that training organization, which seeks to introduce inner-city youth to the life-affirming power of music. LACO recognizes the generous support of The Colburn Foundation as well as Carol and Warner Henry for “Baroque Conversations”. Steinway is the official piano of Los Angeles Chamber Orchestra. The Orchestra also receives public funding via grants from the City of Los Angeles Department of Cultural Affairs, the National Endowment for the Arts and the Los Angeles County Arts Commission. For a free season flyer, additional information about Los Angeles Chamber Orchestra’s 2017-18 season or to order tickets, please call 213 622 7001, or visit www.laco.org. Tags: Andrew Norman, Jeffrey Kahane, Mahan Esfahani, Margaret Batjer, Season Announcements 2017/2018. Bookmark the permalink. Previous post ← More about LA Opera: first 2017/18 production announced, plus how about a contract extension for Grant Gershon?